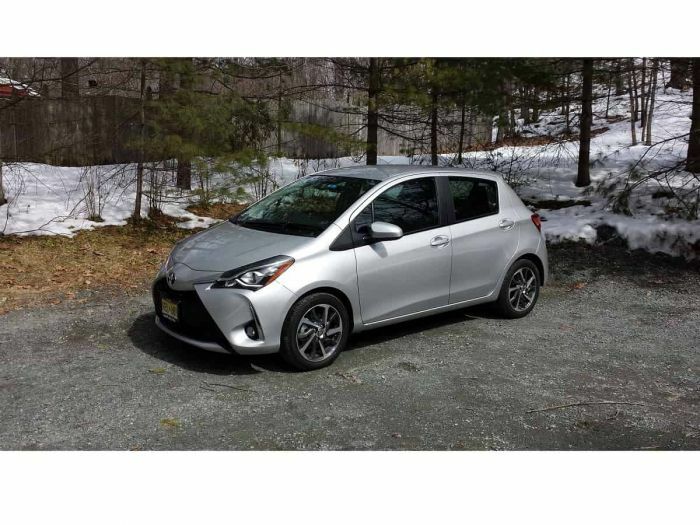 The 2018 Toyota Yaris subcompact liftback is a fun car to drive, and we would rate it highly among the handful of subcompact cars we have had a chance to test in the past few years. There have not been many. Most manufacturers have moved the roomier compacts up to the defacto starting point in their lines. Although we love the Yaris for what it is, it left us scratching our heads. The Yaris we tested had no real options. No heated seats, no moonroof, no special infotainment system. It did come with the outstanding active safety features all Toyotas have. We expected a price of about $16K, but the MSRP plus destination for this test vehicle is $20,530. To put that into some perspective, a significantly larger Corolla LE sedan has a price of $19,930 and a better-equipped Corolla SE sedan has a price of $21,440. The fuel-sipping and more powerful LE ECO Corolla has a price of $20,330. The Corolla iM hatchback is also priced at the same point as the Yaris. Fuel economy is not the reason to choose a Yaris over a Corolla. The Corolla LE Eco is rated at 34 MPG combined and the Yaris is rated at 32 MPG. Safety is definitely not the reason. The Corolla is an IIHS Top Safety Pick and the Yaris is not. This one is a real headscratcher. One possible reason would be preference. In an urban environment, the Yaris is fun to drive and easy to park. The Corollas are not exactly boring by comparison, but the Yaris is charming in its own way. It is particularly peppy off the line and relatively nimble. More so than a Corolla. That’s about all we can think of. Although we like the Yaris, at its price point, Toyota has multiple models offering more of everything at the same price. We wouldn't feel right if we didn't also mention that Toyota has an all-new 2019 Corolla Hatchback about to debut.